A born and bred Houstonian, Dr. Joseph S. Coselli graduated from a Jesuit high school in Houston and headed for Notre Dame University intent on following in his father’s footsteps and becoming a lawyer. That plan changed during the summer between the freshman and sophomore years at college when he had the opportunity to work for Dr. Denton Cooley as part of his “pump” team. 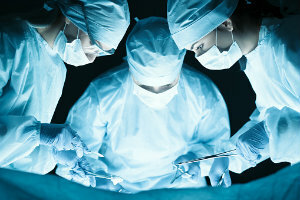 There, in the early glory days of cardiothoracic surgery when surgeons were performing as many as 25 to 30 “on pump” cases a day, it just clicked and he knew what he wanted to become — a cardiothoracic surgeon. Coselli also attributes working with Dr. E. Stanley Crawford as the single most important turn in his career. Crawford took him in his practice as a junior associate and mentored him during the early stages of his career. Just as he was mentored, Caselli contends it is vital to shepherd others as they pursue their chosen field. After Crawford died in January 1991, Coselli (as Vice Chair of Surgery, Division Chief and Cullen Foundation Endowed Chair) continued Crawford’s legacy and developed vast experience in all facets of aortic repair. Coselli exemplifies an “academic surgeon.” He became an expert in his field of aortic repair; he identified and developed treatments for the complex problem “paraparesis and paraplegia after thoracoabdominal aortic aneurysm surgery” that others had thought insolvable; he ultimately, after decades to gain acceptance, had his research incorporated into professional practice guidelines as he continued to ask questions to further improve care and finally, he trains residents and fellows to become experts in his specialty. Coselli epitomizes a profile of excellence.